Univ.Prof. Dipl.-Ing. Dr.-Ing. Holger Magel, born in Neuburg/Donau in 1944. After doing A-levels in 1963 studies of Geodesy at the Munich Technische Hochschule up to 1968. After first experiences with a sworn engineer's office in Graz completion of the Bavarian Traineeship, and leadership of Land Consolidation measures in Upper and Lower Bavaria. From 1975 to 1978 position of a curator of the newly established Chair of Rural Development and Land Consolidation at the Munich Technische Universität. In 1977 obtaining the degree of a Doktor-Ingenieur about rural planning. Acting with the Bavarian State Ministry of Food, Agriculture and Forestry in the Rural Development Department since 1978, in charge of building up the Bavarian Village Renewal Programme as well as establishing a new Method of Landscape and Regionalplanning within Rural Development. Since 1 Febr. 1995 Head of the Rural Development Department and Director General of the Bavarian Administration of Rural Development. Since 1986 lectures for geodesists, civil engineers and geographers at the Munich Bundeswehr University (up to 1990) and the Munich Technische Universität. In 1993 appointment as an honorary professor for Rural Development at the Munich Technische Universität. President of the Bavarian Academy "Ländlicher Raum" (Rural Areas) since 1994. Advisor of the European Commission for Rural Development in Eastern Germany in 1992/93; chairman of the German Bund-Länder Team for Village Renewal from 1984 - 1995; member of the board of the European Association for Rural Development and Village Renewal. Acting as an expert in Eastern- and South Europe as well as in Asia and South America. More than 250 expert publications and books on land consolidation, Village renewal ,landscape planning , rural development and civil society. Many lectures at home and abroad. Member of several scientific institutions and NGO. 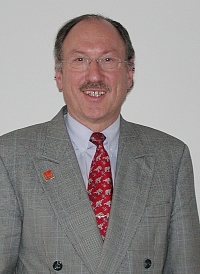 Vice-President (since 1999 ) and then President of the International Federation of Surveyors, 2002-2006. Since 1 Jan. 1998 Full Professor and Director of Institute. on 2 December 2006 in Münster, Germany. FIG Vision, Mission and Activities - Promoting Sustainable Development. Luncheon Address at the Hong Kong Institute of Surveyors (HKIS), 2 November 2006. FIG President’s Welcome Address to the 50th Anniversary Celebration of WTSUM. Wuhan, China P. R., 28 October 2006. President Holger Magel: From Surveying to Geomatics and Land Management. About Future Perspectives of a Changing Discipline and Profession. Presentation at the 14th International Conference on Geoinformatics (Geoinformatics 2006) – The 21st Century’s Geoinformatics. Wuhan, China P.R., October 28-29, 2006. Shaping the Change 2002-2006 – The German Period of FIG. FIG President’s Address at the Opening Ceremony of the XXIII FIG Congress in Munich on 10 October 2006. Shaping the Change - Congress Summary. Closing Address by FIG President at the Closing Ceremony of the XXIII FIG Congress in Munich on 13 October 2006. Geographic Information for Sustainable Development – Global Trends and Perspectives. Keynote Speech at the 5th Map Asia, 30 August 2006 in Bangkok. About FIG’s and Surveyors Contributions to building a better world. Keynote presentation at the International Geodetic Students Meeting, Cracow, Poland 30 June 2006. Closing Remarks at the Habitat Professionals Forum's Networking Event "Public Engagement: The Inclusive Approach" by Chair of the Habitat Professionals Forum, Univ.-Prof. Holger Magel, FIG President, at the 3rd World Urban Forum, Vancouver, Canada 22 June 2006. Opening Remarks at the Habitat Professionals Forum's Networking Event "Public Engagement: The Inclusive Approach" by Chair of the Habitat Professionals Forum, Univ.-Prof. Holger Magel, FIG President, at the 3rd World Urban Forum, Vancouver, Canada 22 June 2006. Statement at the GLTN Round Table on Gendering Land Tools by FIG President Professor Dr.-Ing. Holger Magel, at the 3rd World Urban Forum, Vancouver, Canada 21 June 2006. FIG Statement at the Global Land Tools Network (GLTN) - Networking Event at the 3rd World Urban Forum, Vancouver, Canada 20 June 2006. Closing remarks at the 5th FIG Regional Conference in Accra, Ghana. 10th March 2006. Opening Address at the 5th FIG Regional Conference in Accra, Ghana. 8 March 2006. About the need of centres of capacity building in urban and rural development. Presentation of President Holger Magel, Chair of the Steering Committee of the Habitat Professionals Forum at the Habitat Professionals Forum Session at the XXII Congress of UIA in Istanbul, Turkey, 5 July 2005. Surveyors should look after their identity. Address by President Holger Magel at the 60th anniversary celebrations of the Polish Head Office of Geodesy and Cartography (GUGIK), Warsaw, Poland, 23 June 2005. Surveyors and Politics – the Need for Dialogue. FIG Monthly Article, January 2005 based on the purely orally given lecture at the RICS as the “Christmas Lecture” of the Geomatics Faculty, December 2, 2004. New Challenges to Education in Geodesy and Geoinformation. Presentation held at the Faculty of Civil and Geodetic Engineering of the University of Ljubljana, October 1, 2004. FIG Meets the Arab World of Surveyors. Opening Keynote Address at the 2nd International Scientific Conference in Beirut, Lebanon, 21 September 2004. Closing Speech and Conclusions of the FIG Working Week 2004. Closing address at the FIG working Week 2004 in Athens, Greece 27 May 2004. Breathing the Olympic Spirit - The Mission of FIG in the 21st Century. Opening speech at the FIG Working Week 2004 in Athens, Greece, 23 May 2004. Access to Land and Security of Tenure as a Condition for Sustainable Human Development. Keynote introduction at the Discussion of the Global Campaign for Secure Tenure organized by the Habitat Professionals Forum. The United Nations Special Session for an overall review and appraisal of the implementation of the Habitat Agenda, New York, USA, 6 June 2001. December 2005: Committed to Africa? June 2005: From Pharaohs to Where? Viewpoint - April/May 2005: New Challenges to Education in Geodesy and Geoinformation. Master of Science Program in Land Management and Land Tenure at TU Munich. Material provided by Prof. Holger Magel and edited by Joc Triglav. March 2005: Where Were You When...? December 2004: Why Are Surveyors so Thinly Represented in the Planning Processes? The Role of Surveying is Critical. Interview on GIS Development, January 2006. President Magel can be contacted either through the FIG permanent office in Copenhagen or his private address.